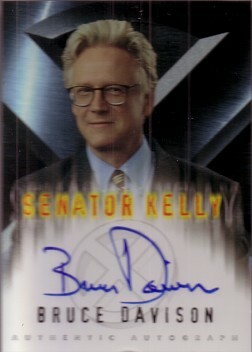 Topps X-Men certified autograph card of Bruce Davison, who plays Senator Kelly in the movie (and the sequel, X-Men 2). ONLY ONE LEFT. With certificate of authenticity from AutographsForSale.com.